I spent my Friday with my fellow bloggers at the launch of the latest Fuji Instax camera called the Neo Classic. It's SO pretty or handsome that is. =P But, i'll be doing a separate post for that, because for now i'd like to open up a topic that one of my close blogger friend and I talked about last night and I think most blogger friends could relate to this. Frankly, I don't understand why there are still some people who think low of bloggers or even the idea that what bloggers do is easy or something that shouldn't be given that much credit. For bloggers who are truly passionate at what they do, believe me, blogging isn't always such an easy task. Why? Well, For one, there are some bloggers who commute for hours just to get to a certain events and even if they get stares from people on the bus or MRT, push pa rin! // There are bloggers that blog so much and don't ask anything from brands or PR companies. // There are bloggers that even with their busy schedules with work and school still manage to update their blogs and have amazing entries. // There are bloggers who try their very best to make their posts as entertaining as possible for their readers, but of course don't stray away from their originality. These are just a few. I don't know what others even go through. Basically, what I'm trying to say is, blogging isn't as easy as you think it is. We have to work on our content almost every single time and we actually put our hearts into it as well. Bloggers don't just always go for the swag or loot. There are events that we go to because we genuinely believe in the brand and enjoy their products. I won't be a hypocrite at the fact that yes, we love receiving gifts or loot bags, because who doesn't, right? I know I get giddy whenever brands or PR companies take the time to send/give these, because it's also an effort in their part. I appreciate that a lot. But it's not always about that. We blog for the love of it and not just because there's something in exchange. So, I just hope that there will be more respect towards bloggers. If you don't understand us, at least try to or do your research first before judging our craft. It's so much more than that. Besides, blogging is suppose to be a happy or fun thing to do. That's why some consider it a hobby or their passion. Anyway, you could easily spot who blogs for passion and who doesn't. Because if you really love what you do, it will show. I have high respect for my blogger friends who are really dedicated at what they do. That's all. Well, my emotions are getting the best of me!=P It's time for some good vibes, because it's officially the weekend! Hope you, guys enjoy it! Thank you again to my love, Christine Liwag for taking my OTD and Beb Ana for the camera! hehe! PS Huhuhu sobrang miss ko na kayo :( Love you babe!! Yes! And in fairness super ganda pa rin ng OTD mo!! Super miss ka narin namin girl. :( Hope to see you real real SOON, please! Aww I'm happy it inspired you, Patty! :) Keep up the passion! Very well said, Ava. Blogging is not as easy as it looks like. There will be times pa nga na you'll have "writer's block' na kahit ang dami mo gusto i-share hindi mo alam paano i-share. Kaya I totally have high respect to all the bloggers who are really working hard on their craft. Hey Aves, I know what you're saying. And I've heard this a lot. Coming from the media / brand perspective, I also hear that, while not all, there are some who abuse this and think it's easy. And these are coming from so-called bloggers themselves. 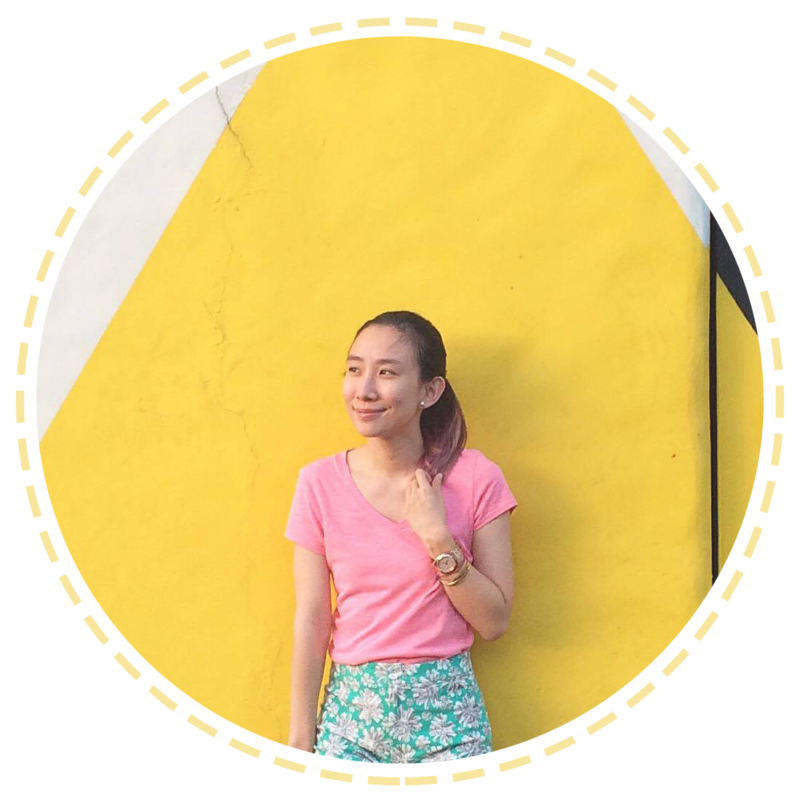 Blogging isn't JUST posting photos, ootds, getting invited to events, and getting giveaways. Everything we say (or in this case, publish), should be truthful, well-researched, given originality, and given the time and heart it is due. We're all in a generation where everyone calls themselves "media" and everyone wants to be heard. I really wished that everyone who pins the word "blogger" to their description really deserves it. Because, really, if there were any more of those "bloggers", kawawa naman the real ones. It gives them a bad name.